The most passionate night of the year is nearly upon us once again. A time for sweet nothings to be whispered, gifts to be exchanged, and, of course, romantic meals to be shared. But whether you’re showing your appreciation for a spouse of 40 years, or showing off for someone special on a first date, we’ve got a recipe that’s guaranteed to impress in one fell swoop! 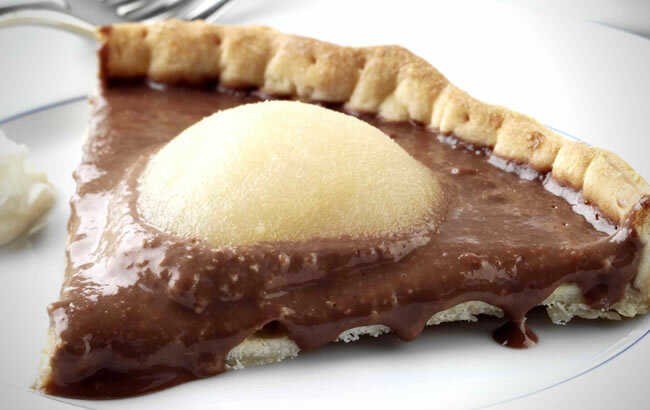 This Chocolate and Pear Tart is the perfect finale to any Valentine’s Day meal, with rich, indulgent chocolate and sweet, juicy pears. Try serving with a generous spoon of crème fraîche for even more decadence.